Living with Arthritis: What Do NY Sports Medicine Doctors Prescribe for Gout? Gout is a terribly painful form of arthritis that drives 8.3 million Americans to podiatrists, rheumatologists, primary care physicians, and emergency rooms each year. The inflammation is triggered by the crystallization of uric acid within the joints, which causes swelling and severe pain. At The Center for Podiatric Care and Sports Medicine in New York City, we take note of your full medical history upon your arrival as a new patient. You may wonder, “Why does a podiatrist need to know about my diabetes?” but evidence suggests that gout is tied to metabolic syndrome. If you are obese, or have insulin resistance, high blood pressure, and cholesterol issues, then you are considered at risk for developing gout. We find it’s best to take steps to prevent gout, rather than risk one of these severe attacks. Do you have a family history of gout? You’d better ask! Many people are surprised to hear that their relatives quietly suffered these attacks. People who have had more than one gout attack are typically advised to go on long-term prescription medication. “I’ve had four gout attacks, two of which landed me in the emergency room (ER), so I’ve learned my lesson,” one gout sufferer shares. “I need to stick to my medication, even (and especially) when I haven’t had an attack in a while,” he writes. While a NY podiatrist is the ideal place to have gout treated, many people end up in the emergency room seeking immediate care at odd hours. Gout sufferer “Chris M.” adds that it’s also important to “pay attention to diet triggers.” He recalled how eating scallops on a business trip warranted a 3 a.m. journey to the hospital, waiting in agony while people with gunshot wounds were wheeled in ahead of him. Are you on diuretic pills? This type of medication has been known to reduce the amount of potassium in the body, which in turn may trigger a gout attack. What Gout Medications Can Podiatrists Prescribe? – Non-Steroidal Anti-Inflammatory Drugs (NSAIDs) like toradol, indomethacin, ibuprofen, or naproxen: These drugs are most effective when taken early in a gout attack and at the highest recommended dose. Naproxen (Aleve) is considered the safest bet for patients with cardiovascular issues, as there are limited side effects. Note that you should never take aspirin during a gout attack, even though it is in the NSAID class. Aspirin may change uric acid levels and make the attack worse, says Web MD. – Colchicine: Low doses of colchicine are especially effective in the early stages of a gout attack. Higher doses may cause gastrointestinal side effects like diarrhea, nausea, vomiting, and abdominal pain. – Corticosteroids like prednisone: If patients do not respond to other drugs, we can inject prednisone directly into the joint for fast relief. Oral steroids can treat individuals who have multiple joints affected, although there could be an increased risk for a rebound attack if used to treat a rather severe attack. Patients with diabetes, hypertension, or heart failure should avoid these drugs because they can raise blood sugar levels. – Uricosuric agents – to help the kidneys eliminate uric acid from the body. – Xanthine oxidase inhibitors – to decrease the body’s uric acid production. – Pegloticase – for chronic cases of gout that do not respond to any other treatments. Diet should be a mainstay of gout therapy. 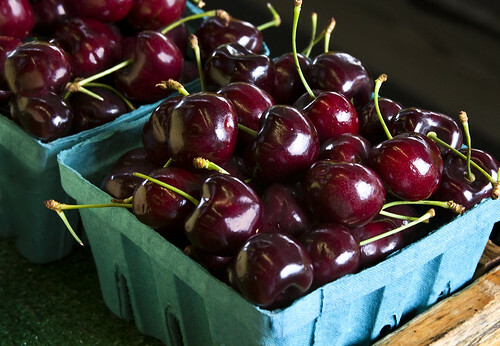 Cherries (either in fruit or supplement form) have received a lot of attention recently as a method of preventing gout, and our patients have reported great success with this, as well. Eating just 10 to 12 cherries a day is a healthy way to combat gout. It may not help the most chronic or severe sufferers, but there is scientific evidence to suggest that cherries work in multiple ways to reduce uric acid and prevent gout. Patients with mild or infrequent gout attacks can especially benefit from cherry therapy. Eat 10-12 cherries a day to prevent gout. As we discussed in a previous article, foods like shellfish, red meat, poultry, asparagus, cauliflower, spinach, mushrooms, high fructose corn syrup, and alcoholic beverages greatly increase the odds that you’ll suffer from a gout attack. If you really love seafood, you can still indulge in healthy options like shrimp, lobster, eel, and crab. To make restaurant visits and work meals a little easier (especially if your company provides food delivery or corporate catering), become familiar with safe go-to items so you can make healthy choices easily and quickly. If you’re having trouble deciding on the right menu, we’re happy to offer customized suggestions. The doctors at The Center for Podiatric Care and Sports Medicine in New York City are highly trained to treat patients living with gout. From treatment options and healthy eating habits, they have a wealth of knowledge and expertise to help you gain control of your wellness once again. We can get you right in to see us at one of our clinics for your acute or chronic gout treatment. Book your appointment online today!